You may have heard about the policy that American Express cards offer a 1 year warranty extension on products purchased with your Amex card. I have read about it and never really looked into it until now. You can purchase items like and iPhone, iPad, Macbook Pro, Macbook Air, iMac, etc. and receive an extra year of warranty for FREE! American Express will take care of any repairs or even refund you the complete purchase price if the item is deemed unrepairable. I have heard stories of computers failing just a few weeks out of the manufacture’s warranty, and people were getting a brand new computer for FREE. With the iPhone 5 about to be released there are going to be lots of people upgrading or purchasing it outright. Make sure you use an American Express credit card to pay for it and you will get an extra year of warranty without having to purchase AppleCare. AppleCare will however extend your warranty to 3 years from the date of purchase. Now, if you use your Amex card to purchase the iPhone 5 with the AppleCare protection plan you will get a total of 4 years of warranty! American Express does not just offer this warranty extension on electronics. It is on everything, as long as it fits into their terms. Make sure you charge your eligible purchases that have a valid U.S. manufacturer’s warranty of 5 years or less to the Amex Card. Keep the original receipt of purchase. You need to show the date it was purchased and that it was bought using an American Express credit card. Keep the American Express credit card statement. You should be able to easily retrieve this online if you do not have a paper record. I imagine they can also look this information up for you as well. Keep the product warranty card. This outlines the details of the original manufacture’s warranty in case any issues arrive. Keep the broken product. They have the option to repair your item, replace the item, or refund the full purchase amount of the item. You do not get to choose what you want, so don’t go off selling the broken item until the warranty claim is taken care of. Filing a claim is a simple as calling their toll free number (1-800-225-3750) or going to their website to file a claim (http://americanexpress.com/onlineclaim). The claim process may take up to 2 weeks to complete. Are there any limits on getting an extended warranty from American Express? 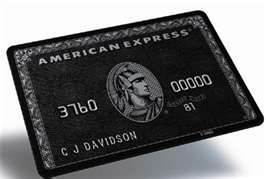 American Express will reimburse you up to $10,000.00 per item purchased, but they have a limit of $50,000.00 in claims per year. Unless your a super big spender and have an Amex black card, you are probably never going to hit those amounts. You also have to make sure that the products have a warranty of 5 years or less. Things like a refrigerator that have a 10 year warranty would not be eligible for a warranty extension. Many people like myself look past this great service, but when you dig down and look at how much money you can potentially save is Amazing. I just had to purchase a new logic board for 2 different Macbook Pros this year that were just out of warranty. If I would have purchased these items using and American Express card I would have been covered. There are a few things you do need to be aware of. The extended warranty does not cover anything outside of what the manufacture’s warranty covers. This includes accidental damage spills etc. I know someone who purchased a vacuum cleaner that had a crack in it. It was still within the manufacture’s 1 year warranty period and the manufacture would not cover it. They then thought that Amex would cover it but that was not the case. In the end, make sure you purchase all of your major purchases with an American Express credit card and take advantage of this hidden gem that not many people really know about.